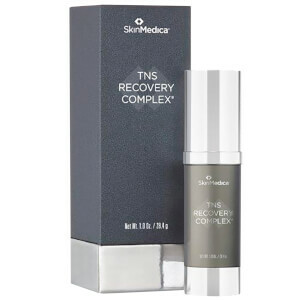 SkinMedica TNS Recovery Complex rejuvenates your sun-damaged, aging skin with advanced technology. It enhances skin texture, reduces the appearance of age spots and blotchiness and improves skin elasticity. Ideal for those with mature skin who want improved skin texture, elasticity and a reduction of sun damage. Human fibroblast conditioned media (TNS) A physiologically balanced, naturally secreted and stabilized combination of multiple natural messenger proteins. I LOVE THE TNS RECOVERY COMPLEX. I wet my fingertips, tap the bottle on my hand a few times and use one pump for my face. 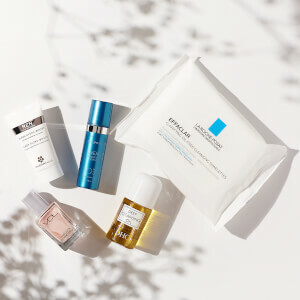 I briefly switched to another brand for six months, and now I'm back to Skin Medica. This product absorbs quickly, and my skin looks much better since I've switched back to SM. Makes my skin feel like leather and more wrinkles appear. Would have returned but wasn't able to once used. I love this product!! I am glad to see that there are sales that can help with the price of this product--because it is great!! I have used TNS Recovery Complex for about 8+ years and have been very pleased with the results. It feels as though the skin around my eyes and mouth is much firmer, I have never gotten that result from other products that I have tried. It goes a long way with one pump! I have been using this for years. Luv it! I have used this product for about 10 years and love it! I first started using it after going to a dermatologist office-they sell this stuff for a reason-it works!! Highly recommend! 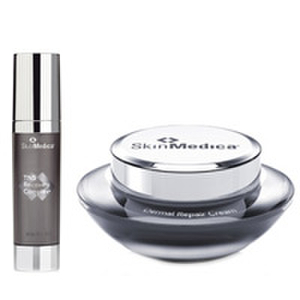 Nothing works quite like skin medica. Love this product! Turns the clock back like no other. I didn't use serums thinking they were silly add-ons to a skin care regime at a high cost but decided to give this one a try after receiving a sample. I noticed that I could see a difference in smoothness, a pretty glow and a refreshing look to my skin. So I am now starting on my 3rd full size dispenser thinking that I'll continue using it for the years to come. I ordered another one for my husband, and works great for him! This product works well, doesn't smell great- but is worth it.